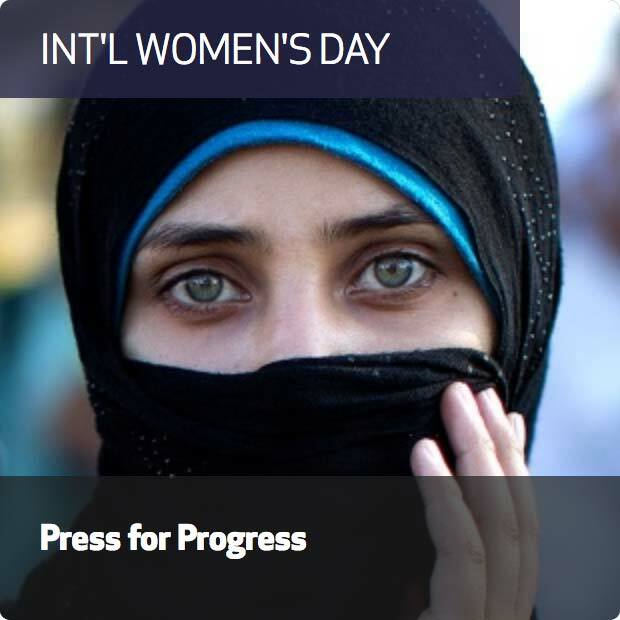 A 29-year-old Iraqi Kurdish journalist is using her IWPR training to challenge conservative attitudes by telling inspirational stories of female success. Avan Jaff joined Baladuna Tariquna (Our Country, Our Path) in May 2017, a project working with Iraqi social media activists to generate factual, responsible content and counter extremist and violent media. Jaff said that her IWPR training, which is ongoing, had helped her identify a target audience, tell stories and advocate for her own ideas. This was in itself a way to bring social change, she continued. “When a woman stands on her feet, she does not only give hope to other women, but to her community and her country,” Jaff said. Jaff uses her Facebook page to highlight stories about women who have not only achieved success in the business or creative world, but also made a contribution to society. She recently published a piece about Nian Aziz, the first and only fashion designer in Iraq who makes clothes for people with dwarfism. After Jaff posted the story, several local media outlets asked her for Aziz’s contacts. Other stories have included include one about a woman who created a successful mobile phone app, and another who pursued a career as an artist. Other media platforms have also showed interest in her endeavor. Earlier this year she was invited to give a TEDx talk at a conference dedicated to successful women. “Normally I talk about the success stories and self-agency of others, people of any colour, any ethic or gender or religion backgrounds. But today I will be speaking about myself as a success story,” Jaff told the event. Jaff, who lives in Erbil and is a senior reporter at Zhin women’s magazine, said that many people now contact her on a daily basis to alert her to success stories for her project. “Nowadays, when I visit a public place such as a restaurant, people come forward and tell me that they know a successful girl or woman and they would like me to meet her,” she said. Although she has met with some hostility, Jaff said that she was not discouraged. Breaking taboos around female participation in public life was hard, but she argued this was essential for peace and coexistence efforts, as well as to rebuild Iraq’s economy. Jaff’s father was an opposition politician during the Saddam era, and she said that she had a relatively liberal upbringing. Many fathers, brothers and husbands were also supportive of their female family member’s efforts to strive for success, she continued.